An important factor in selecting a cruise ship itinerary is the interesting shore excursions offered at the ship’s ports of call. 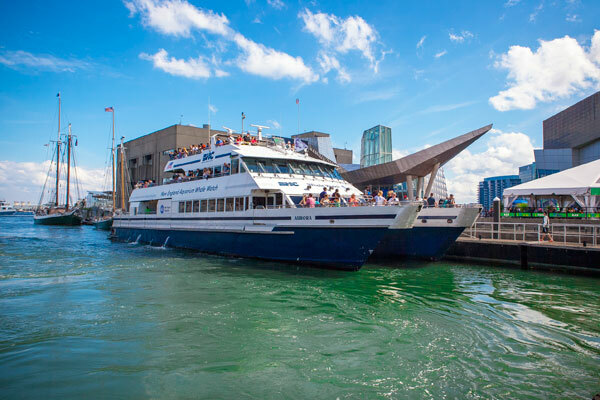 The diversity and number of Boston’s shore excursions make it a popular port of call on Canada/New England cruises. There is something for every interest. See the wonderfully restored collection of colonial-era historic sites that played a role in the lead up to the America’s independence. Walk across the Boston Common, America’s oldest public park, established in 1634. Glide around Frog Pond in a Swan Boat. Browse bookstores and eclectic shops around Harvard Square. Tour venerable Fenway Park. Experience fine art at the Museum of Fine Art or the Isabella Stewart Gardner. Browse the antiques on Charles Street. Walk through ancient King’s Chapel Burying Ground and Granary Burying Ground. Sidle up to the bar at CHEERS; shop high end boutiques lining charming Newbury Street; savor clam chowder or a lobster roll at Legal Seafood; discover souvenirs at Faneuil Hall Marketplace/Quincy Market. 1.5 Hour Cruise Ship Loop Tour. Check with your ship’s shore excursion desk to see they offer it. They have all details. 1.75 hour tour for cruise ship passengers only with hop off/hop on privileges at 19 stops along the way. Check out the Old Town Trolley Tours website for information on boarding and return location and details. Freedom Trail Tour. The best way to fully appreciate the critical role Boston played in the lead-up to the American Revolution is on a 90-minute Freedom Trail walking tour along the famous “red line,” departing from Faneuil Hall. Think of it as a scavenger hunt for 11 historical sites led by engaging, informative costumed guides who explain the details and history along the way. 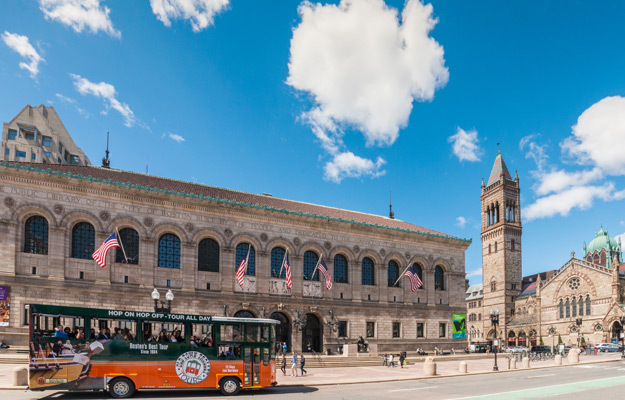 Combine both of these attractions with an Old Town Trolley & Freedom Trail Tour Package. Museums listed are available at a discounted price through Trusted Tours & Attractions as individual tickets or in an Old Town Trolley Tour package. The Old State House and Boston Massacre Site. This historical gem, built in 1713, is the oldest surviving building in Boston and is America’s oldest and finest example of British architecture. The Old Town Trolley ticket includes free admission to the small museum inside. The Boston Massacre site is marked by a large circle of cobblestones centered by a stone set in the pavement of a busy pedestrian triangle in front of the Old State House. 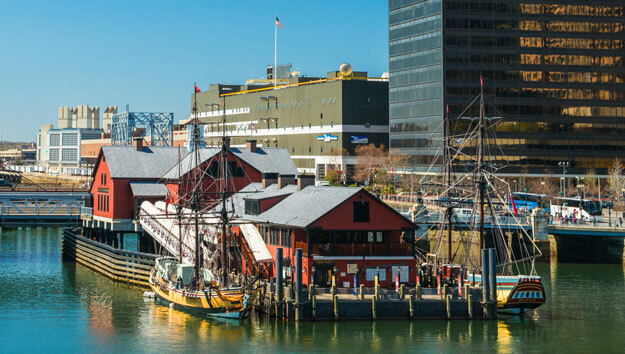 Boston Tea Party Ships & Museum. Become part of the rebellious activities that took place on Griffins Wharf on the night of December 16, 1773. The story of that fateful night unfolds through spirited costumed actors who lead guests to 3 different venues on this remarkable floating museum. The action, interesting special effects and moving film are great for kid and adults. Dumping the tea over the side of a full-size replica of an 18th century maritime vessel is a highlight. Enjoy tea and other refreshments in Abigail’s Tea Room surrounded by panoramic city views. John F. Kennedy Library & Museum. The inspirational museum honoring the memory of America’s 35th president is wonderful. Exhibits explore Kennedy’s commitment to seek a new and better world through politics and service through the man, his family, the office of the President and the turbulent times. Located on a stunning waterfront setting in South Boston, it’s a 20 minute, 5 mile drive from downtown. Take a ride-sharing service, a cab or hop on the T, the local public transportation, on the Red Line to JFK/UMASS stop. The museum has a free shuttle bus from this station to the Museum. Old North Church. A visit to this historic church in the North End is worth the short uphill walk from the North End Trolley stop on Hanover St. along narrow brick and cobblestone streets. Old North is where lanterns were hung in the steeple on the night of April 18, 1775 signaling patriot Paul Revere by which route the “Regulars” were advancing. Visit Edes & Gill Printers and Captain Jackson’s Historic Chocolate Shop on the brick campus. Old South Meeting House. Step inside the red door of the distinctive red brick building with a white spire in busy downtown to enter a 1729 Puritan Meeting House. It’s surprisingly large and starkly grand As a sanctuary of free speech, it was the meeting place of colonists who gathered to challenge British rule in the years leading up to the American Revolution. Trinity Church. Big, bold and beautiful, the Richardsonian Romanesque masterpiece commands Copley Square. Inside this significant American landmark, an open interior space creates a massive pyramid of space and light softened with beautiful murals and stained glass. Duck Tour. Quack your way through city streets on WWII amphibious vehicles to see the sights by land. 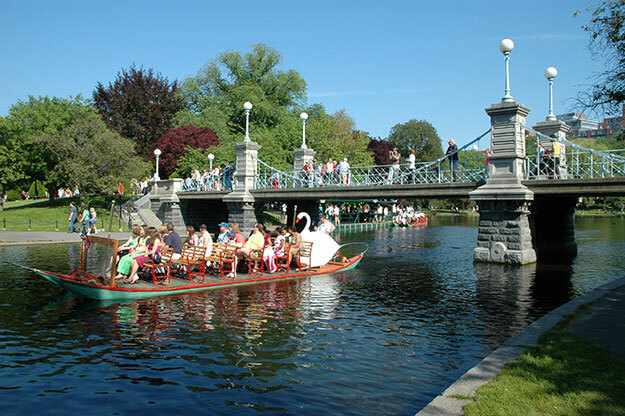 Then, splash down into the Charles River to see Boston and Cambridge by sea! Check out the Old Town Trolley/Duck Tour Package through Trusted Tours & Attractions. New England Aquarium Whale Watching Tour. Nothing beats the thrill of seeing a whale rise from the deep blowing a large spray or slapping the water with its tail fluke. The-3 hour high speed catamaran ride out to Stellwagen Bank Marine Sanctuary feeding grounds, one of the best places for whale sightings, is awesome.